A piece of mysterious and amorous canvas art by Brent Lync. 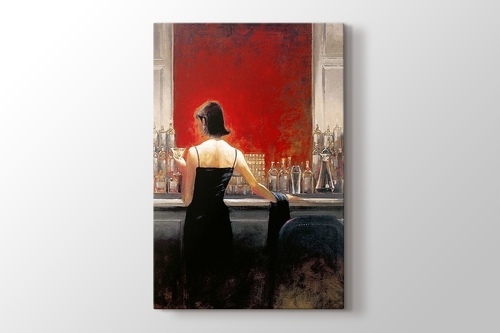 The art depicts a mysterious woman in a black dress hanging out at a bar. Brent Lync used powerful strokes and crimson red background to intensify the feelings behind curtain of mystery.